Dosto Aaj Ham Janenge- Windows Install Ya Format Karne Ke Liye Pendrive Ko Bootable Kaise Banaye. Bhut Sare Dosto Ne Mujhe Pucha Ke Pendrive Ko Bootable Kaise Banate Hai? Or Bootable Hota Kya Hai? Without Bootable Pendrive Se Windows Install Kaise Kare. Aap Bhi Agar Ayse Soch rahe Hai Toh Tension Lene Ki Koy Baad Nhi He. Kyu Ki Is Post Se Apko Sare Sawalo Ke Jawab Mil Jayenge. Bas Ap Mujhe Follow Karte Rahe. Toh Chale Dosto Sabse Pahle Hum Janlete Hai Ke Bootable Actually Hota Kya Hai. 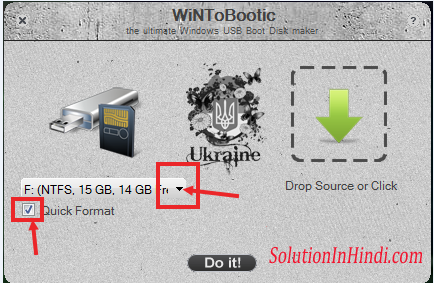 Pendrive Ko Bootable Kaise Banate Hai Step By Step, How To Make Bootable Pendrive In Hindi? Phir Bina Koy Setup Karke Hum Badi Aasani se Windows Install Kar Sakte He. Facebook Friends Ko Automatic Birthday Wish Kaise Kare. 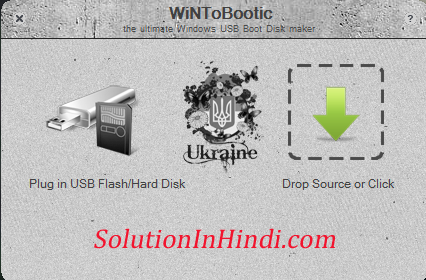 Dosto Pendrive Ko Bootable Karna Bhut Hi Aasan Hai, Me Aapko 3 Aasan Or Popular Method Batane Wala Hun, Bas Mujhe Step By Step Follow Karte Rahe. Agar Apko Windows Key Samjh Me Nhi Aaya Toh Aap Apne Keyboard Le Left Side Ke Last Me Windows Logo Ek Button He Usko Or R Button Ko Ek Sath Press Kare. Then CMD Type Karke Enter Kare. Ab Aapke CMD Open Ho Giya Hai, Ehape Bas Kuch Command Dena Hoga, Usse Pahle Aap Apna Pendrive System Me Laga Lijiye, Or Han Pendrive 4GB Se Upar Hi Rakhe, Toh Sabse Pahla Command Dijiye DISKPART Then Hit ENTER. Toh Apko SELECT DISK 2 Type Karke ENTER Kare. Note: Iss Option Ko Sahise Follow Kare Agar Clear Lage Toh Hi Age Badhe Nhi Toh Pehle Comment Karke Clear Karlo. Toh Dosto Agar Apko Iss Method Me Kahi Problems Ho Rahi Hai Toh Comment Kare. Or Pasand Aaye Toh Apne Friends Ko Share Kare & Kahe Ke Latest Update Ke Liye SolutionInHindi.com Par Visit Kare. Download Karne Ke Liye Eha Click Kare. Download Hone Ke Baad Rufus Ko Run Kare. Niche Screenshot Dekh Sakte Hai. Friends Aap ko Agar Iss Process Me Kahi Dikkat Aarahe Hai Toh Comment Kare. Or Pasand Aaye Toh Jarur Apne Friends Se Share Kare Or Apne Friends Se Kahe Latest Update Ke Liye SolutionInHindi.com Par Visit Kare. Ab Usse Double Click Karenge Toh Kuch Iss Tarah Open Hoga. 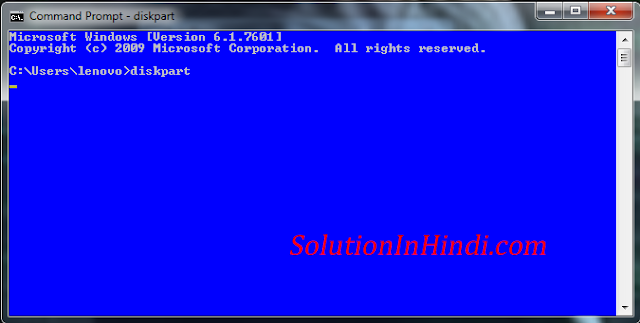 Ab Drop Source Par Click Kare Or Apke Computer Me Padi Windows (XP, 7, 8, 10) ISO File Ko Select Kare. Jaise Ki Aap Niche Screenshot Me Dekh Sakte Hai. 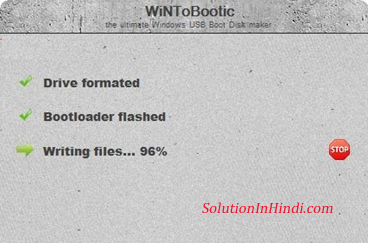 Toh Dosto Ab Aapke Bootable Pendrive Ready Ho Giya Hai Windows Install Karne Ke Liye. Pendrive Ko Bootable Kaise Kare Step By Step (Pendrive Ko Bootable Karne Ka Tarika) Jan Gaye Honge. Agar Aapko Bootable Karne Me Kisi Method Me Dikkat Aarahi Hai Toh Jarur Comment Kare. Yaar ISO File Kaha Milega…? CMD se bootable karliya hu ab kaise windows 10 install kare? Really Helpful Tricks for me..
CD Se Copy Ya Phir Net Se Download Kare.. Win 10 Ki CD Se iOS File Copy Kare Ya Phir Net se Download Karke Pendrive Me Le Uske Bad System Ko Restart Kare.. Thanks Its Realy Helpful For Me……!!! Thanks ANd Keep Supporting Us..
Diye Gaye Sabhi Command Ko Sahi Se Enter Karna Padega, Agar Apko CMD Ke Bare Me Jiyada Knowledge Nahi Hai, Toh Method 2 Rufus Software Se Pendrive Ko Bootable Kare. Bhut Hi Easy Hai.. Agar Kisi Step Me Samajh Na Aaye Toh Jarur Bataye.. 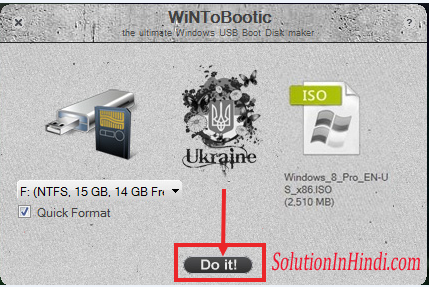 Thanks & Keep Visiting..
You Can Follow Step-2 It’s Really Easy To Make Pendrive Bootable!